An Edmonton veteran who says he's being racially profiled is fighting to keep his shisha bar open, but police say Nyala lounge is a risk to the public. 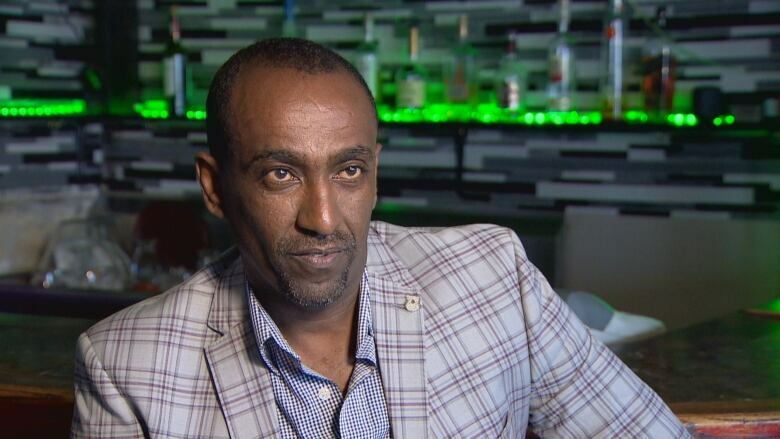 After injuries from a suicide bomber's blast ended his 20-year career in the Canadian military, Mulugeta Tesfay bought Nyala Lounge in Edmonton. Now he's battling for the survival of his business. According to city police, the hookah bar should be shut down because it's a risk to public safety. But Tesfay, 46, insists his business is safe and he is the target of racial profiling and retaliation by some police officers. Those allegations were raised during a hearing before the city's community standards and licence appeal committee last Thursday. It was packed with lounge customers and staff, neighbours and other business owners supporting Tesfay, plus two members of the city's public safety compliance team. Tesfay's lawyer, Praveen Alwis, requested more time to prepare witnesses, including other bar owners of African descent who also accuse the police of racial profiling. "There has been a prejudice based on ethnic lines," Alwis told the committee, sitting next to his client, prompting nods of agreement in the gallery. "It's something that's a shared experience for this community." City councillors Tony Caterina, Moe Banga and Jon Dziadyk, who are committee members, agreed to adjourn the hearing until July 12, after hashing out with lawyers interim conditions under which Nyala could keep his business, just northeast of downtown on 98th Street, open. "It's not about my business anymore," Tesfay, a father of three children, told CBC News after the hearing, sitting in Nyala where a faint fruity aroma of shisha smoke hung in the air. "It's about our rights as Canadians to get treated exactly the same as other business owners. "We're good citizens," he added. "We want to work with the police. We want to work with the community, we want to work with the city. But the police have to be willing to help us." Mulugeta Tesfay bought Nyala Lounge after injuries from a suicide bomber's blast ended two decades of Canadian military service. "They started coming twice a week, three times a week, 10 of them, 20 of them" at a time, said Tesfay. He said he was told the police visits were just regular Alberta Gaming and Liquor Commission inspections, as officers scrutinized shisha pipes and inspected the inside of the kitchen fridge and stove. "Everybody [customers and staff] started panicking," Tesfay said. "Most of them come from Africa so when they see 20 police officers, they feel like there is something going on here." Over time, police slapped Tesfay with a series of bylaw tickets. Court documents show he's successfully fought each allegation so far. He faces two more tickets in July for allegedly exceeding occupancy and failing to post an occupancy sign. 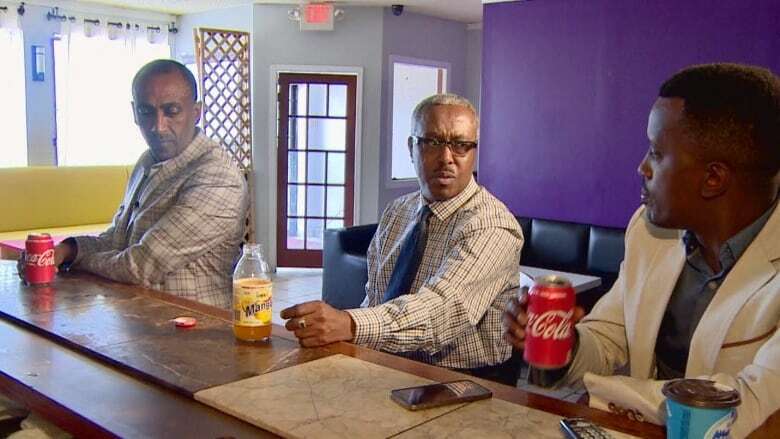 Then one warm evening last July, three days after filing the formal complaint, Tesfay said he and his business partner were hauled off in handcuffs, in front of customers relaxing on the outdoor patio. He said officers told him he was being arrested for selling untaxed tobacco seized from the premises a month earlier. The tickets were later dropped but he's still fighting a criminal offence related to the matter. In custody, police refused to help him gain access to his nightly medication for post-traumatic stress disorder, or PTSD, he noted in a letter to Knecht written two weeks later. "Although I have always been civil and cooperative with these Officers, and have given them no reason to fear for their safety around me, they chose to handcuff me so forcefully that it aggravated injuries I suffered from an IED [improvised explosive device] explosion during my last tour in Afghanistan," Tesfay wrote on July 20, 2017. "I believe I was arrested and detained in a cell for 18 hours solely as retribution for submitting a written complaint to your office, as a show of force which was intended to intimidate me," the letter stated. 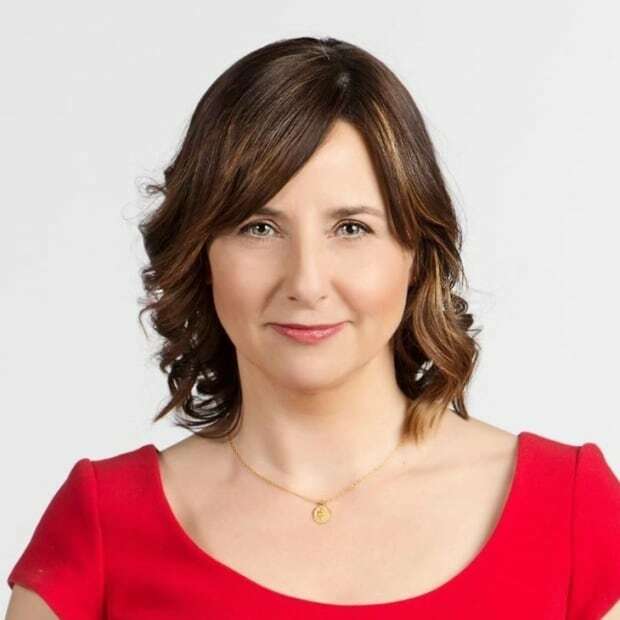 "I fear that members of EPS have now crossed a dangerous line and that participating in this complaint process will endanger my business and personal well-being further. This fear is shared by members of my community, many of whom were shocked to witness my humiliation when nearly a dozen Police Officers were sent to my restaurant to take me away in handcuffs." Looking back, Tesfay now says he feels like he's being treated like a "second class citizen" by Edmonton authorities. "I served my country for 20 years. I went on tour. So to get treated by police like that, it's not fair," he said. In the military, Tesfay was awarded the Sacrifice Medal, given to soldiers who are wounded by hostile action. But he's reluctant to talk about his two tours in Afghanistan, or the suicide bomb blast in Kandahar City in 2006 that left him with PTSD, neck and back injuries, and set him on a path much different than the dream of continuing to serve his country. 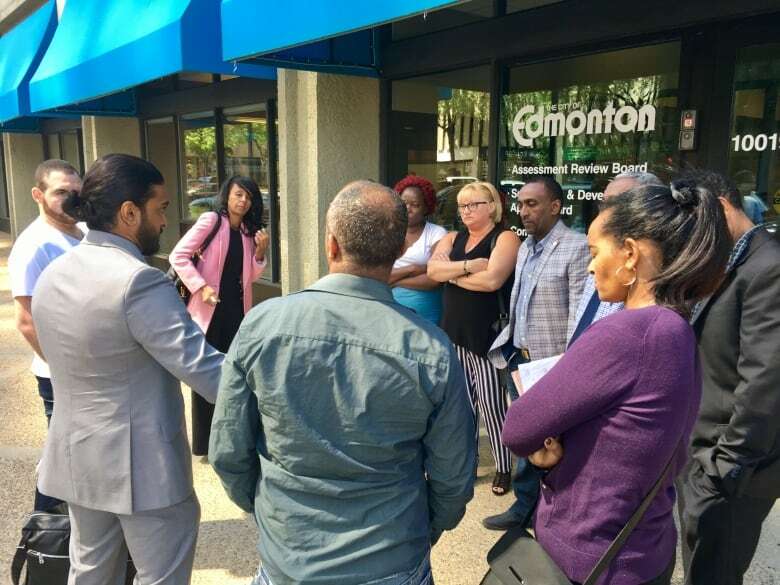 Customers, staff, neighbours and business owners attended the hearing to support Mulugeta Tesfay. But police tell a different story than Tesfay. At last Thursday's hearing, lawyer Amanda Goodwin expressed "serious concerns" on behalf of the public safety compliance team about "the history of violence" at Tesfay's business and "a history of unwillingness to follow laws at this venue." She said police laid charges against several people in an incident at the lounge last January involving a handgun. Tesfay doesn't deny someone may have had a gun on the property. But he said it didn't involve customers, as the incident occurred during a community meeting held at the site while the restaurant was closed. He is set to appear in court on July 13 on a charge of obstructing a police officer in connection with the investigation. After the city hearing, Sgt. 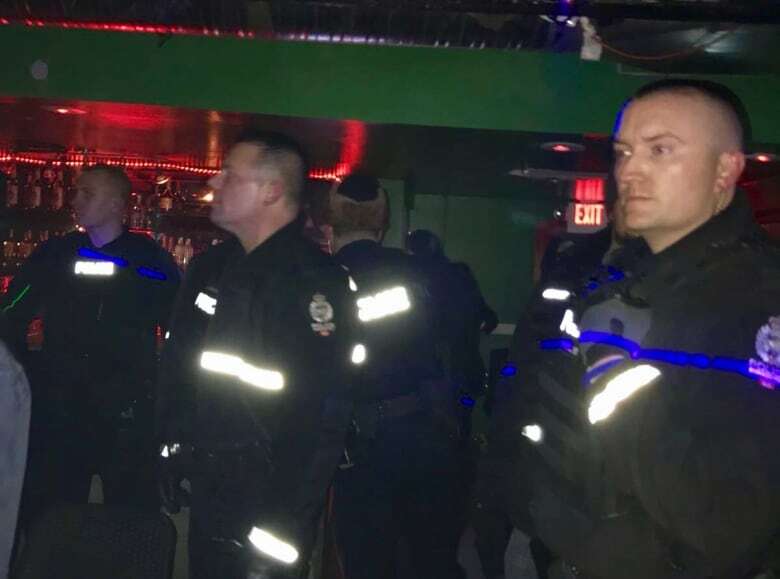 Collin Simpson, coordinator of the public safety compliance team, told CBC, "There have have been several documented cases of people attending the venue who are considered public safety risks." He said initially efforts were made on both sides to restrict such customers. But at some point the relationship broke down. Everyone has their own opinion about why, he said. "We hoped the manager would take a stand and develop some kind of system to either indicate or advise police that they're there, so we can come in and deal with them on their call, or develop some system to prevent them from entering altogether," said Simpson. When asked if police treat all bar owners equally, Simpson responded: "It doesn't matter if you're African or if you're white. We go where the public safety concerns are." Outside the hearing, some Nyala customers said the picture painted by police is not the one they have, of a safety-conscious bar where they're treated like family. A driver is even made available to take customers home when they've had too much to drink, they said. "I sat with the owner and showed him pictures of my grandkids," said Shelley Lee Johnson. "Half the time he's at the door shaking your hand when you get there. There's never fights, there's never foolishness." Meanwhile, Lee Johnson pointed to examples of various gun incidents at stores and schools. "So you want to shut down a place because somebody showed up with a gun — it happens," she said. Some business owners supporting Tesfay at the hearing said they faced similar harassment. But they declined to speak publicly, citing fear of retribution. But Rashid Hersy recalled "intimidating" inspections by police when he owned Afro Cafe on Alberta Avenue a few years back. "Why? Because we are a soft target. We can't defend ourselves. We can't afford lawyers," Hersy said. He said smoking shisha from a hookah pipe is a form of entertainment, involving relaxation and conversation, much like having a beer. But Hersy argued the response of some police officers is based on stereotyping: "You're black and right away you have guns, you're drug dealers." He urged the police commission to investigate. "There is no accountability here. Zero. And if you question them you are done. How dare you question?" said Hersy. "So something has to be done in this city. This is Canada, this shouldn't happen here." 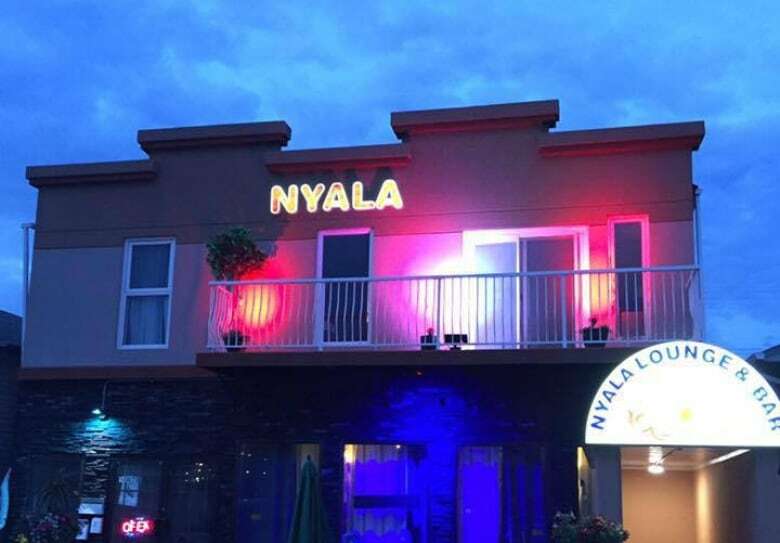 On Saturday evening this past weekend, a CBC reporter paid a visit to Nyala — a popular hangout for Edmontonians of various African heritages and ages, located in a largely residential neighbourhood. By 10 p.m., a mix of pop and Ethiopian music played on the first floor as staff and customers greeted each other with handshakes and hugs and a handful of friends chatted in small groups over water, pop or beer and exhaled clouds of orange-mint or grape smoke. At 11:20 p.m., four police vehicles pulled up and six officers filed inside. They exchanged polite greetings with Tesfay, three security guards and other staff as they made their way through the small, largely empty space, checking to make sure conditions imposed at the city hearing were in place. At 1:35 a.m., police returned. By this point, the crowd had grown, and mostly moved to the basement bar where a deejay spun traditional African music and a merry crowd of about 40 customers danced, sang, drank, chatted and smoked shisha. Nyala has a capacity of 120 overall, but interim conditions capping customers at 44 forced Tesfay to apologetically turn away dozens of regulars lined up outside. Customers kept dancing as police once again fanned out to look over the premises. When asked by CBC why police frequented Nyala so often, compared to many mainstream bars, one constable pointed to the high-crime rate in the neighbourhood. He said they were merely conducting regular patrols. Afterwards, Tesfay questioned why two police checks were necessary on one night, but said he was pleased to see a friendlier tone than with some visits. He braced himself for future inspections but hoped to rebuild his relationship with police. "My goal is to work together with police," he said.